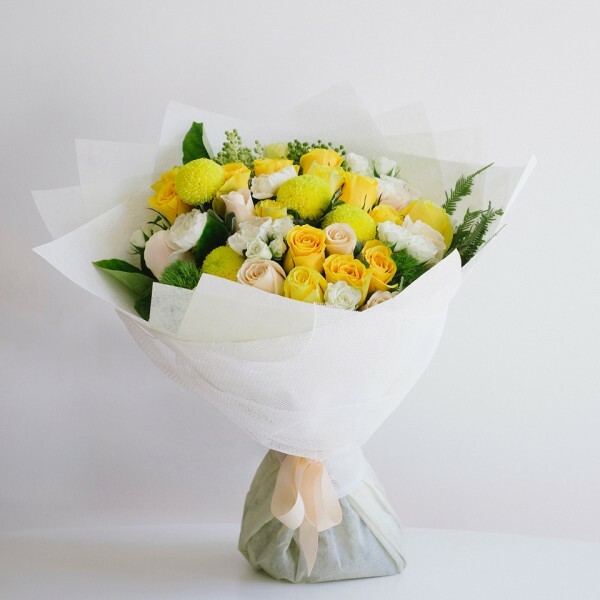 A mix of the best premium yellow and cream seasonal pastel flowers with a gorgeous mix of light greenery. Following on from the success of the deluxe pastel bouquet, this stunning combination of warmer colours is also very popular. Your bouquet will be beautifully gift wrapped, finished with a water bag, netting and ribbon. It also comes with a complimentary gift card for your personal message.